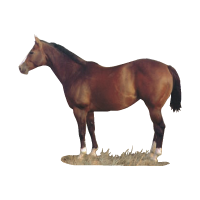 Body color ranging from tan, through red, to reddish brown; mane and tail black; usually black on lower legs. 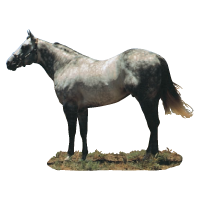 More or less uniform mixture of white with red hairs in large portion of the body; darker on head, usually red but can have a few black hairs in mixture; black mane and tail and black on lower legs. 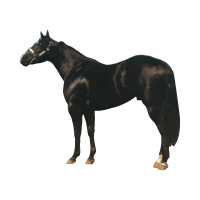 Body color true black without light areas; mane and tail black. 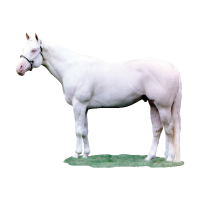 More or less a uniform mixture of white with black hairs on the body, but usually darker on head and lower legs; can have a few red hairs in mixture. 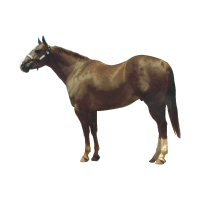 Body color brown or black with light areas at muzzle, eyes, flank, and inside upper legs; mane and tail black. 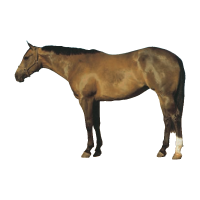 Body color yellowish or gold; mane and tail black; usually black on lower legs. 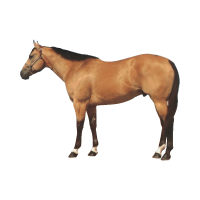 Body color dark red or brownish-red; mane and tail usually dark red or brownish-red but may be flaxen. Light (or pink) skin over the body, white or cream-colored hair and blue eyes. 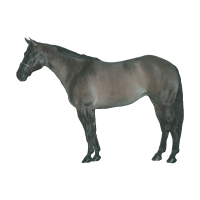 Body color yellowish or gold; mane and tail may be black, brown, red, yellow, white or mixed; often has dorsal stripe, zebra stripes on legs, transverse over withers. Body color a mixture of white with any other colored hairs; often born solid-colored or almost solid-colored and gets lighter with age as more white hairs appear. Body color smoky or mouse-colored (not a mixture of black and white hairs, but each hair mouse-colored. 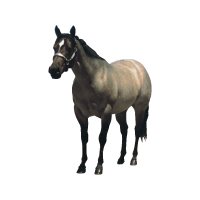 ); mane and tail black; usually black on the lower legs; often has dorsal stripe. 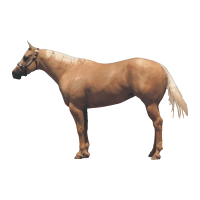 Body color golden yellow, mane and tail white. 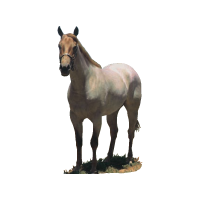 Palominos typically do not have dorsal stripes. Light (or pink) skin over the body, white or cream-colored hair and blue eyes. 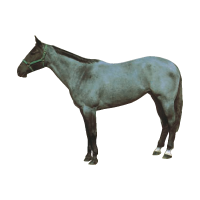 Mane, tail and lower legs slightly darker than body color. 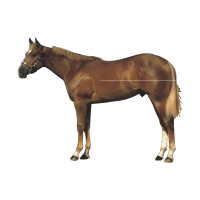 A form of dun with body color yellowish or flesh colored; mane, tail and dorsal stripe are red. 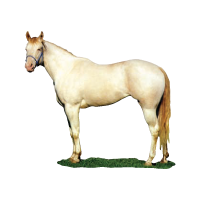 More or less uniform mixture of white with red hairs on the body, but usually darker on head and lower legs; can have red, black, or flaxen mane and/or tail. 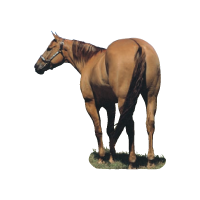 Body color reddish or copper-red; mane and tail usually same color as body, but may be flaxen. 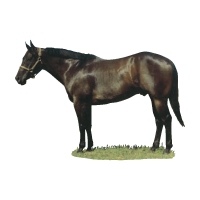 The most common color of American Quarter Horses. Body color white; skin is pink; eyes are usually dark; small black spots may be found in the skin, but usually are not accompanied by colored hair. 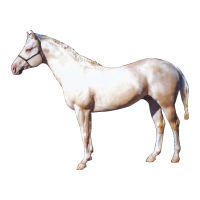 Some white horses may be variegated, meaning they have patches of colored hair, usually intermixed with white.